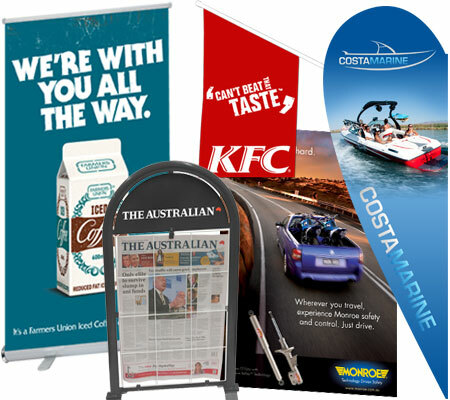 Purchase Point have provided Australia’s leading businesses with POS material ranging from custom display stands to corflute and event signage. It’s incredibly important to communicate successfully to consumers at the Point of Sale. 75% of buying decisions are made in-store, and the defining factor that often gives one product the upper hand in that critical moment when a purchasing decision is made, is the promotional gift or reward offer at the point-of sale, which increase the value in the mind of the consumer. We design innovative and creative advertising to grab the attention of potential customers and communicate your promotional offer or reward program. Our Retail Point-of-Sale campaigns can help you get noticed, generate interest in your products and services, and set them apart from your competitors. PPA can manage your Point of Sale campaigns from the initial concepts, through to the design and finally to the finished production, delivering POS components that range in application. Contact the team at PPA today to find out how we can help increase sales with a creative Point-of-Sale campaign.